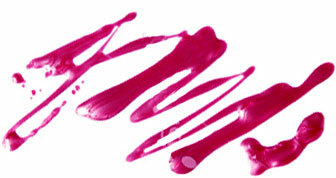 No matter how many times we paint our nails with the same color, it’s almost impossible to finish a bottle, right? I never have, and I've only thrown out polish because it got old and looked weird and separated in the bottle. Why not experiment with your unused shades instead? 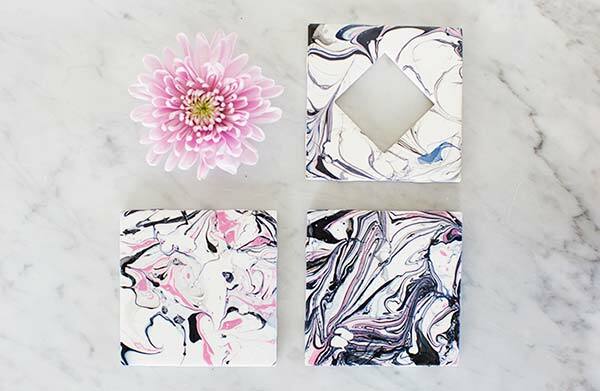 One of my favorite style bloggers, Aimee Song of Song of Style, recently posted this super chic tutorial on creating marbled coasters with nail polish. I couldn’t get over how pretty they looked and was shocked to see what nail polish can do when you think outside the box, so I had to share. For her design, Song only used four nail polishes to create six coasters. I loved the combination of baby pink, dark blue and black on a clean, white canvas. I’m going to say it again: So. Damn. Chic! If you’ve got a few polishes handy and some time this weekend, you’ve got to try this easy DIY. The best part? If you mess up, Song says you can erase the polish with remover and try again. Game changer! Get the full tutorial on SongofStyle.com.